Obituary for Karen Jean Shepard (nee Kubiak) “Bosia” | Castle Hill Funeral Home, LLC. 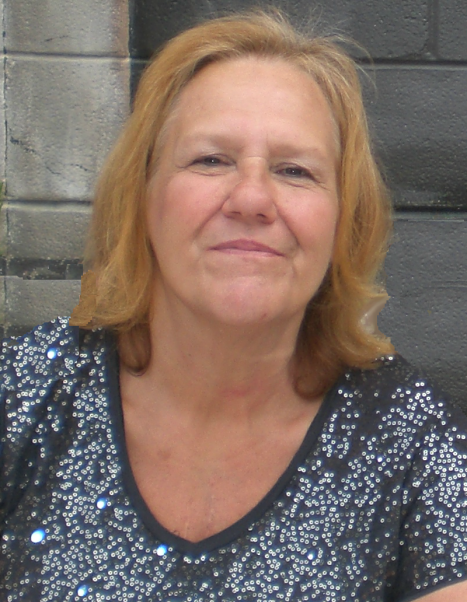 Karen Jean Shepard (nee Kubiak) “Bosia”, aged 70, of Griffith, Indiana and formerly of Chicago, Illinois, passed away on February 8, 2019. She was united in matrimony to Ronald James Shepard on July 19, 1969. Ron “Papa” preceded her in death on January 11, 2012. She was also preceded in death by her father Edward Kubiak, mother Bernice Kubiak (Bednarczyk), brother Edward (Butchy) Kubiak and sister Linda Kubiak. Her beautiful life will forever be cherished in the lives of her five sons: Ronald (Tracey) Shepard, Kenneth Shepard, Christopher (Jodi) Shepard, Kevin (Tiffany) Shepard, Jeffery (Michelle) Shepard and also in the lives of her many grandchildren: Autumn, Elijah, Avery, Seth, James, Kailey, Blaine, Rachel, Rebecca, Ashley, Katie, Liam and Addison. Karen also will be remembered by her sister Judy Nowak, nephew: Rick (Laura) Nowak and niece: Sarah Nowak. Karen was a graduate of Christian Fenger High School. Until she was no longer able to do so, she worked as a caregiver for those that were intellectually disabled. Her greatest role and accomplishment throughout her life was being the matriarch of her family. She always sacrificed her needs for the good of her family. Known as “Bosia” , to the grandchildren, she gave much love, laughter, wisdom and provided an environment where the word NO did not exist. Her love and hopes for them was and forever will be “Higher than the Sky!”. There will be a celebration of Karen’s life on Friday February 15, 2019 between 6:00pm-10:00pm located at the Knights of Columbus: 1400 S Broad St. Griffith, Indiana. Food and beverages will be provided and a cash bar available. Catholic Mass will take place on Saturday, February 16, 2019 at 10:00am located at St. James the Less Catholic Church: 9640 Kennedy Ave Highland, Indiana.